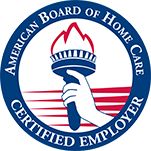 Full/Part Time Caregivers Needed In the Orange County and LA Area! Care to Stay Home is looking for passionate and dedicated caregivers for numerous positions all over Orange County and LA! Whether you are an RN/LVN student, CNA, or have personal experience caring for loved ones, we are willing to work with you and your schedule! Currently, we have many openings (4-12 hours) available for IMMEDIATE placement!! Do not hesitate to call our office (949-916-1066) for more information about other possible openings in your area! We are continually receiving new clients with different schedules and locations that may be the perfect fit for you. Discounts on local restaurants, travel, theme parks, etc.